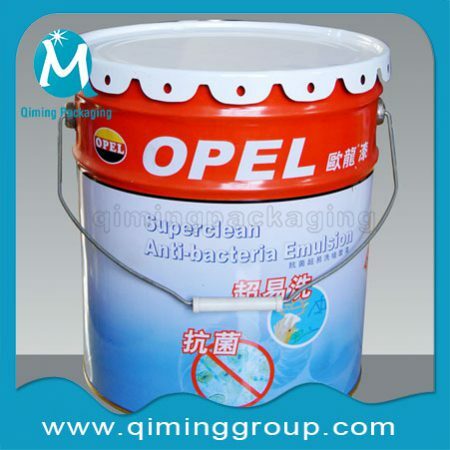 Suitable for packing liquid and solid products like paints & coatings, inks, adhesives, oils, lubricants, chemicals and so on. 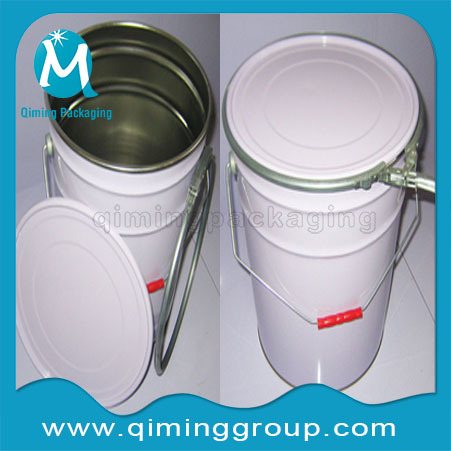 Suggestion 1: Normal metal pail is used for packing the oily material such as oil, paint and so on. 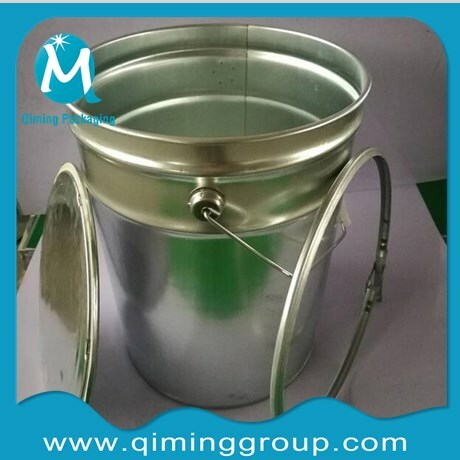 Suggestion 2: Anti rust metal pail is used for packing the corrosive material such as acid, alkali ,powder, emulsion, lubricant ,water and so on. Outside: CYMK printing/ white/ metal color . 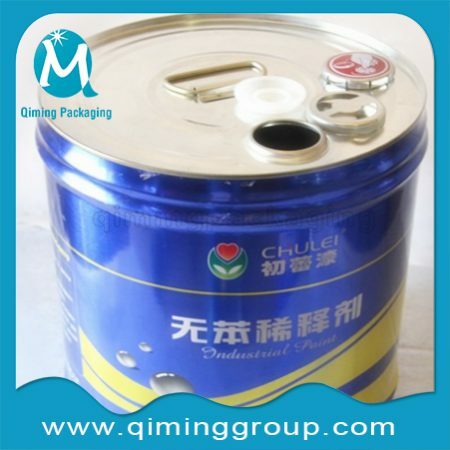 Inside: metal color/ gold lacquered/food lacquered. 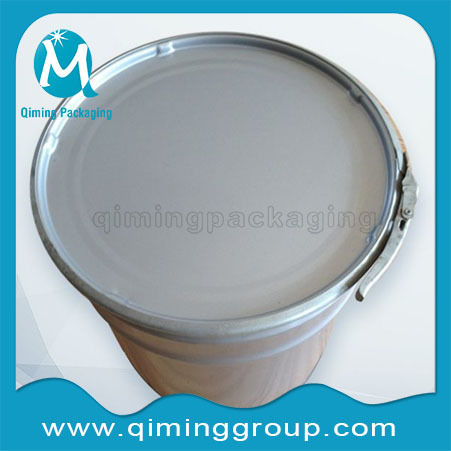 Painting internal treatments: ♠ preservative treatment♠ anti-rust treatment. 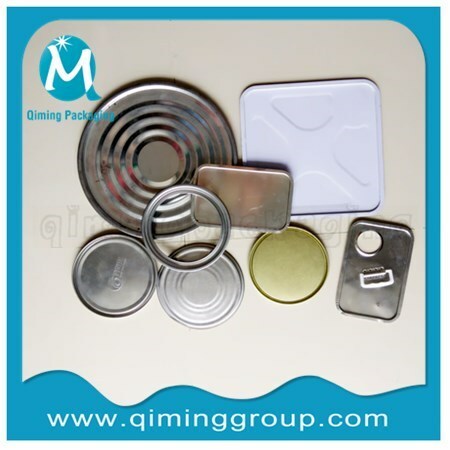 Package: carton, paper bag, plastic bag, fumigation -free wooden pallet or as per your request. Delivery:18-25 days for first delivery as usual, 12-15 days for the following delivery frequently.Or as per your demand. Popular Volume 5 liter,8 liter,10 liter,12 liter,15 liter,16 litre,18 liter,19 liter,20 liter,22 liter,23 liter,25 liter,26 liter,etc. 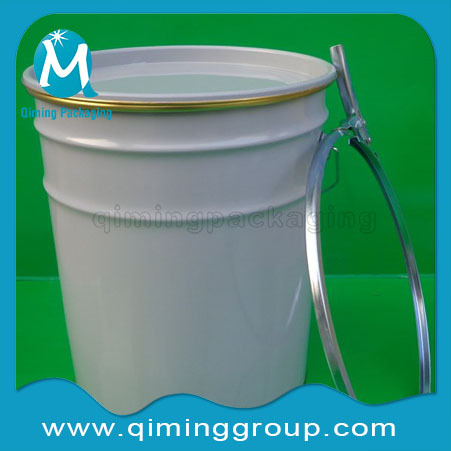 Our MOQ is 10000 PCS , it can be less if it is a trial order. Your any logo and picture can be accepted, we would never disclose your any information to the third parties .Please show us your legal copyright certificate first if you need to print registered trademark . 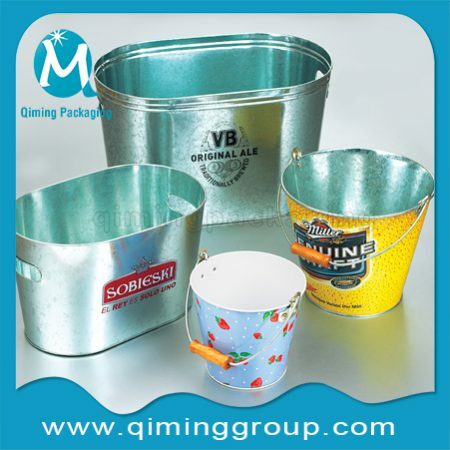 Why Choose Our Lever Lock Ring Tin Buckets Pails? 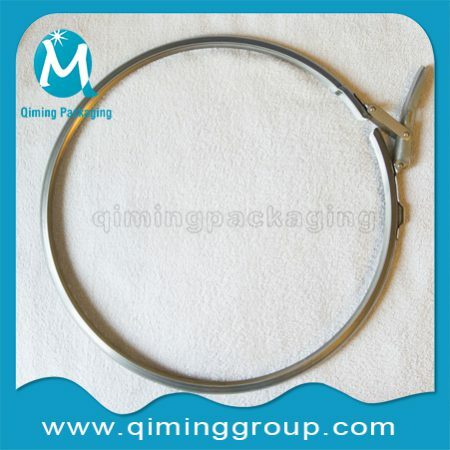 Your own lOGO can be printed ,if the quantity is more than 100000 stes .No Logo also accepted. we would never disclose your any information to the third parties . Printing: CMYK Off-set Printing ,Spot color,Pantone colors,gravure and flexographic printing as usual,your other printing methods available. 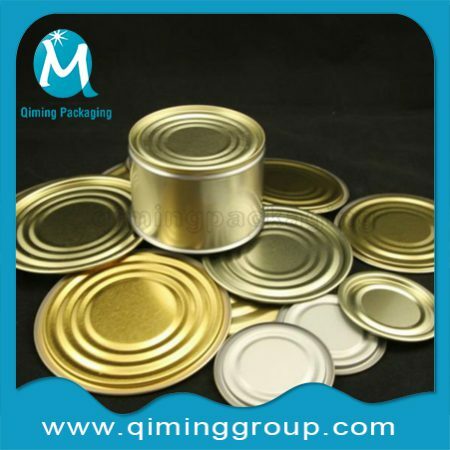 Professional pre and after sale service ,strong R&D and manufacturing ablity ,fast and prompt delivery ,flexible payment method . Want to get a fast and professional quotation ? Please fill in the form ,it is quick and easy .